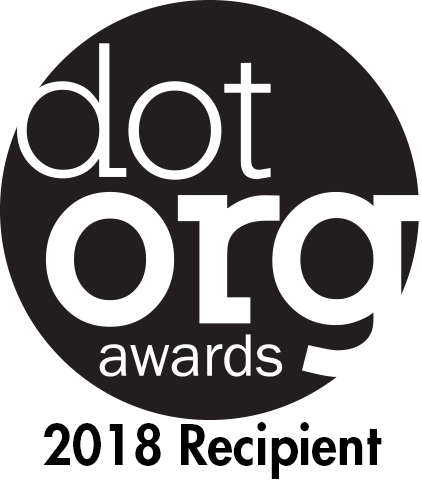 Here at Charities Review Council, we’re still celebrating our Dot.Org award, which was presented last week at the Minnesota Council of Nonprofits Communications & Technology Conference. The Dot.Org Award for website redesign can include new websites, complete redesigns or site facelifts, and rebranding projects on the web. For us, it was a completely new website! In 2016, we began the process of creating a new website to better serve our donor and nonprofit partners. In partnership with Cary Walski of CoPilot and Josh LaBau of Significant Digits, we embarked on a redesign process that would eventually lead to a Dot.Org award. Our redesign started simply, reviewing other websites for features and functionality that we thought would be great additions to our new site. We then transitioned to design, focusing on colors, prints, and patterns that were better aligned with our visual brand. Finally, we talked content and site navigation. We knew not everything on our old website would be transferred over to our new site. So, with the help of marketing guru Kate-Madonna Hindes, we began our content review and migration. Together, we created a modern, flexible, brand-aligned aesthetic that demonstrates trustworthiness and accountability. We improved our search capabilities, allowing donors to search by organization name or keyword (e.g. children, animals, etc.). We also added an additional promotion for our Meets Standards® nonprofits, highlighting them directly on our homepage. Integrating our Giving Matters Blog into the website, making information easily accessible for all donor and nonprofit partners. Now, you can sign up for our e-newsletter at the bottom of each webpage, click through to our social media sites, and give to an organization you love with the click of our new “Donate Now” button. We reviewed and refined our site navigation, using a soft-launch process to collect feedback and make changes before sharing broadly. Now, you can access resources, blogs, and event announcements anytime, anywhere. Thank you to the Minnesota Council of Nonprofits Award Committee for selecting Charities Review Council for this year’s Dot.Org award- Website Redesign, and congratulations to our fellow Dot.Org Award winners: Appetite for Change, Minnesota Compass, NeighborWorks Home Partners. We were definitely in good company. As we continue to update our website, adding new blogs, sample policies, and educational resources, let us know what resources you’re loving and what resources you think might be missing. Send us an email at info@smartgivers.org with your ideas and suggestions.